President Roosevelt felt the need to enact any bill that would protect the security of the United States. Under the Executive Order, the removal all the removal of all residents near military areas as "deemed necessary or desirable" was legal. Japanese people were given a specific time period for them to evacuate. After the time frame ended, they could not change residence. Japanese families were assisted by the Civil Control Station to help them ease through the registration period. Give advice and instructions on the evacuation. Provide services with respect to the management, leasing, sale, storage or other disposition of most kinds of property, such as real estate, business and professional equipment, household goods, boats, automobiles and livestock. Provide temporary residence elsewhere for all Japanese in family groups. Transport persons and a limited amount of clothing and equipment to their new residence. Japanese families were to follow rules while staying at the relocated area, such as no pets and must follow the instructions. A responsible member of each family, preferably the head of the family, or the person in whose name most of the property is held, and each individual living alone, will report to the Civil Control Station to receive further instructions. This must be done between 8:00 A. M. and 5:00 P. M. on Monday, May 4, 1942, or between 9:00 A. M. and 5:00 P. M. on Tuesday, May 5, 1942. No pets of any kind will be permitted. No personal items and no household goods will be shipped to the Assembly Center. The United States Government through its agencies will provide for the storage, at the sole risk of the owner, of the more substantial household items, such as iceboxes, washing machines, pianos and other heavy furniture. Cooking utensils and other small items will be accepted for storage if crated, packed and plainly marked with the name and address of the owner. Only one name and address will be used by a given family. Each family, and individual living alone, will be furnished transportation to the Assembly Center or will be authorized to travel by private automobile in a supervised group. All instructions pertaining to the movement will be obtained at the Civil Control Station. 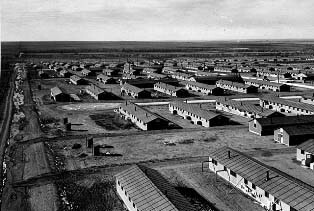 Homes in the camp were very close together. 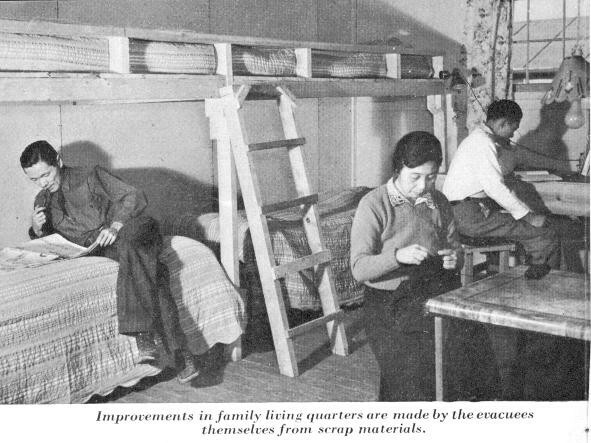 Japanese families were packed together in close proximities and had little to do. A mom and her daughters outside of their small home at a camp. Shimomura describes the registration process she went through with her friend, Mrs. Sasaki. I finally decided to register my fingerprints today after putting this off for a long time. Mrs. Sasaki and I went to the post office at the appointed time of 9 a.m. We finished the strict registration two hours later. I felt that a heavy load had been taken off of my mind. General DeWitt tells Shimomura to prepare for camp where she will spend the next couple of months until they move her to another camp. At last the order for evacuation was given formally by General DeWitt. There were some limitations to the first move. Kazuo (son) along with some others will leave here on the 28th as an advance party. In haste, we prepared for the leave. At last the day had arrived. It was time to leave Seattle, the city where we have lived for such a long time. Even though I tried not to cry, the tears flowed. Our group of 370 working people departed at 9:30 a.m. in a long string of cars and buses. We arrived at Puyallup at 11:30 a.m. We settled into our assigned place, A-2, number 27. We were all very dissatisfied with our army cots and cotton mattresses. Until late at night we heard a mixture of hammering and the crying voices of children. With much difficulty, I was eventually able to fall asleep. Shimomura describes the horrible conditions she has to face while living in the camp. The heat is severe and there is no breeze. I heard that some rooms never got below 110 degrees yesterday and that the temperature in the sick room went up to 120 degrees. It was unbearable. During the afternoon I stood under the grandstand to avoid the sun. I stayed there until evening pleasantly conversing with Mrs. Kato and Mrs. Kaneko. I had no appetite today and went to bed exhausted. After the attack on Pearl Harbor, the United States feared that Japanese in America were spies. As a result, President Roosevelt enacted Executive Order 9066 in hopes of protecting the security of the nation. This resulted in the evacuation of over 110,000 Japanese in the west coast from their homes and forced into camps. They were treated harshly and were forced to register by being fingerprinted. Families were unable to bring personal items and most of the time, homes and cars were collected by the government or banks. The Japanese were placed in camps with little comfort and were treated poorly. Little did Roosevelt know, Hitler was placing innocent people in camps at the time as well. Most Japanese people were in camps for as long as three years living in tight quarters and discomfort. The Executive Order 9066 did not specifically target one ethnicity group, but in the end it was clear that the Japanese were discriminated against. "Executive Order 9066: The President Authorizes Japanese Relocation." 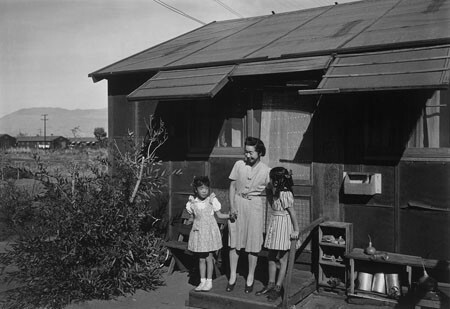 Executive Order 9066: The President Authorizes Japanese Relocation. N.p., n.d. Web. 02 Apr. 2014. Nickell, Joe. "Imprisoned in Minidoka: Grandmother's Diary Memorializes Life as an Interned Japanese American following Attack on Pearl Harbor." Missoulian.com. The Missoulian, 04 Oct. 2009. Web. 03 Apr. 2014. United States. National Park Service. "The War Relocation Camps of World War II--Document 1--Transcript." National Parks Service. U.S. Department of the Interior, n.d. Web. 03 Apr. 2014.